Is it still worth going to conferences in 2019? After all, they are time-consuming, costly and the internet is drowning in high quality content. And don’t most of the conference videos appear on YouTube anyway? While all this is true, we still feel it is worth worth attending conferences. Let me see if I can persuade you…. Perspective. A conference gives you a much wider perspective of your field. You can see where the market is really going and get perspective on what is happening in your industry. Often this is drowned out online by all the chatter. Cost. The fact that you do actually have to invest time, effort and money in an event makes you actually focus and invest in that event. Watching tutorials on YouTube is so easy, we tend to just do it on auto-pilot. The social element. Work and life is increasingly conducted online. Human beings are social creatures and there is still no substitute for actually meeting people. Humans work using a million sub-conscious cues which are not present online. You will always learn more from a talk which you actually attend. A conference gives you a fleeting chance to really connect with lots of other real people. Change of environment. I find that altering your surroundings and the people you interact can really stimulate your creative thinking (which is increasingly important in most jobs). I always return from any conference with a notebook full of new ideas. We will be aiming to attend Business of Software Conferences (in Europe and USA), CodeOne in San Francisco and DevFest Istanbul in 2019. We will be writing reports on all, although that is no substitute for being there…. 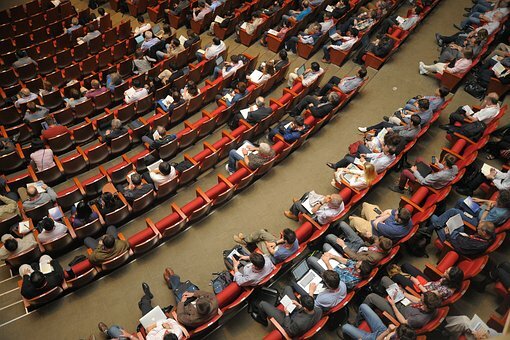 Are you attending a conference in 2019?